190xl037 Timing Belt, 190XL 037 belt, 190XL - 3/8 inch Wide belt. 95 teeth. 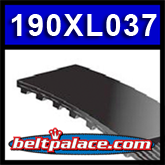 ANY BRAND BELT MARKED 190 XL x 3/8” Wide. Coil Winding Machine Belt 190XL037. Champion Easybird Auto Feed 6-Packer Trap Thrower with Oscillating Base Gear Belt (Model 40912). 190XL050. 19 inch Length. 95 teeth. 1/2” (0.5 inch) Wide. Replacement “XL Series” Timing Belt. Replaces: Pegasus 166-01-190, Gates 190XL050, Goodyear 190XL050, Jason 190XL-050. 200XL037 Timing belt. Industrial Grade. 200XL037 Timing Belt (HTD). 20.0” Length, 100 teeth, 3/8” Wide. 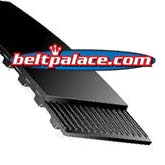 Neoprene HTD 200XL-037 Timing belt 200XL-037. Industrial Grade.